21st April, 2006. In this issue: News from Jackie, Cookbooks, Inspirational Reading and Explorers, CDs and Gift Vouchers, New Weather Service and More Great Rewards for Members. Now we all know that our Mums' always end up in the kitchen, so I guess while they're away they will probably end up in the bush cooking something as well! We have the latest edition of Australian Bush Cooking in both spiral bound and perfect bound which are proving to be very popular. And of course Viv Moons Outdoor cookbook is always a favourite too. Or is your Mum in need of some rest? Please her with some reading from our wonderful range of books in our Inspirationalcategory and Explorers category. Perhaps she'd prefer to hear a story read to her on an CD Audio Book . The options for gifts from the ExplorOz Adventure Shop are extensive so if it's all too hard, perhaps you could give her an ExplorOz Gift Voucher and that way she can purchase something of her choice at a time to suit her. The new edition of Kimberley - An Adventures Guide has been delayed slightly, but is due to be available in May 2006. We will let you know once copies are on their way! Remember, you can keep a look-out by referring to our latest/updated items list (just click the button from the Shop home page). ExplorOz now shows live satellite weather maps. The live satellite feed comes from the Australian Bureau of Meteorology and is interfaced with the iMapPlot™ mapping engine to produce a map at any size (can be zoomed) showing satellite infra red, cloud cover, rain radars and forecasts. This is a great tool that will greatly enhance your trip planning using the ExplorOz website. To see and zoom and play with the full Australia weather map see the Australian States and Regions page, or click on any state to view zoomed maps for that area (pre-zoomed using iMapPlot™). Want Half Price Satellite Minutes for 6months? With Globalstar’s Mobile everywhere® it’s now more cost effective than ever to have reliable dual mode cellular and satellite coverage! Globalstar are offering all ExplorOz Members half price satellite minutes for the first 6months when they purchase a new dual mode handset and connect to a new plan. Simply quote your valid ExplorOz Member Number to your authorised Globalstar dealer at time of purchase and connect before 31/05/06. Already a Globalstar customer? Globalstar are also offering ExplorOz members who are existing Globalstar customers, half price satellite minutes for 3months on their connected plan, starting 01/05/06. 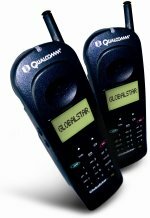 All you have to do is call Globalstar before 31/04/06. One offer per valid membership, excludes Corporate accounts. The excellent offer above from Globalstar is just one of 43 wonderful Member Rewards currently on offer by our advertisers. For the full list click here. The ExplorOz Membership program includes a wide range of benefits and features, with the offers from advertisers and the discount card just one of them. Take a look at the Members Index for the full range of site features and Member Benefits available for just $30 per year, with a $20 joining fee in the first year ($50).